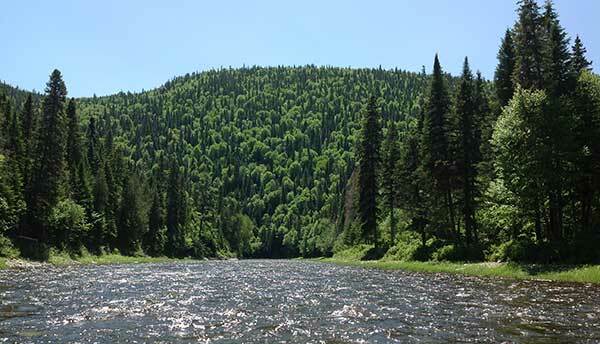 The Club is situated in North Western New Brunswick approximately 43 kilometers (27 miles) from the mouth of the Kedgwick and currently maintains two leases on the river. Members and guests access 64 salmon pools and 26 miles of wilderness fishing. Although an average sized salmon released on the Kedgwick is 15 lbs, 20 and 30 pound fish are quite common. In recent years members have released fish larger than 40 lbs. The Kedgwick Salmon Club is an incredible wilderness fishing experience complimented by the finest accommodations and dining. We offer high speed internet access to all of our guests. The Club operates on two three day sessions per week and accommodates up to eight anglers per party. 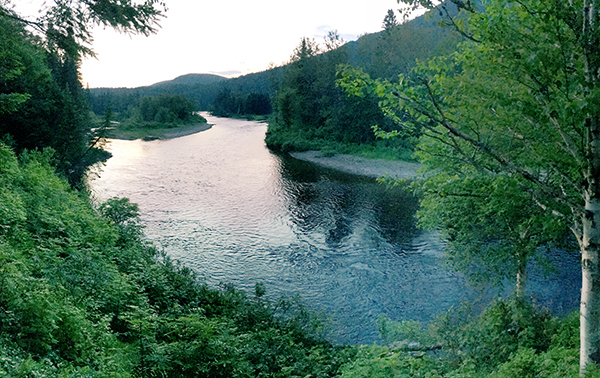 Each angler is assigned to a personal guide for their stay. The Club is open for members and their guests from mid-June to mid-August. Shoulder seasons lease is offered to non-members. 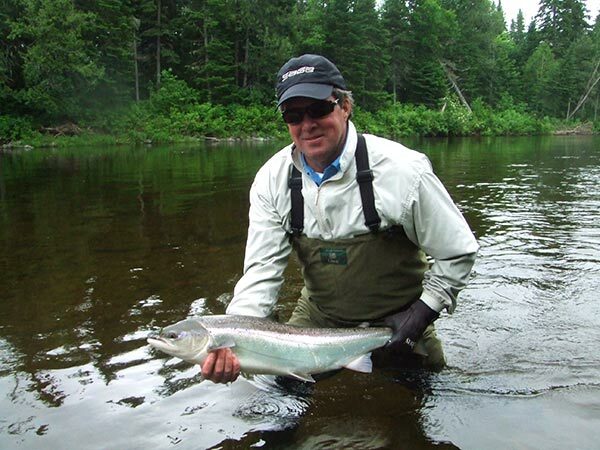 To ensure the return of Atlantic Salmon to our river The Kedgwick Salmon Club enforces a strict live release policy.